Development of bones and teeth:- calcium along with phosphate, is required for the formation of hydroxyapatite and physical strength of skeletal tissue. Bones which are in a dynamic state serve as reservoir of Ca. Osteoblasts are responsible for bone formation while osteoclasts result in demineralization. Membrane integrity and permeability:– calcium influences the membrane structure and transport of water and several ions across it. What is the daily Recommended Dietary Allowance of calcium? Vitamin D induces the synthesis of calcium binding protein in the intestinal epithelial cells and promotes Ca absorption. What are the diseases associated with calcium? Hypercalcemia:- the serum cxalcium level is increased in hypercalcemia. It is associated with hyperparathyroidism caused by increased activity of parathyroid glands. Decrease in serum phosphate is noticed in this condition. Rickets:- rickets is a disorder of defective calcification of bones. This may be due to a low levels of vitamin D in the body due to a dietary deficiency of Ca and P or both. The concentration of serum Ca and P may be low or normal. Osteoporosis:- it is characterized by demineralization of bone resulting in the progressive loss of bone mass. The elderly people of both sexes are at risk for osteoporosis. However, it is most predominantloy occurs in the postmenopausal women. Osteoporosis results in frequent bone fractures which are a major cause of disability among the elderly. So higher dietary intake of Ca is recommended for elderly people. Side effects:- At normal doses, calcium supplements may cause bloating, gas, and constipation. Very high doses of calcium can cause kidney stones. Research has found an increased risk of heart attacks and strokes in some people taking calcium supplements in addition to a diet high in calcium, though the true accuracy of these findings is being actively debated by experts. Interactions:-If you take any prescription or over-the-counter medicines regularly, ask your doctor if it’s safe to use calcium supplements. Calcium can interact with drugs for heart disease, diabetes, epilepsy, and other conditions. Excessive doses of vitamin D can result in dangerously high levels of calcium. 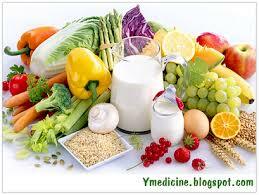 High doses of calcium can also interfere with the absorption of other minerals, like iron and zinc. In general, take calcium one to two hours apart from other supplements or medications. When taken at the same time, calcium can bind those products and pass them unabsorbed from the body. Risks:- People with kidney disease, heart problems, sarcoidosis, or bone tumors should not take calcium supplements unless their doctors suggest it. Overdose:- Excessive levels of calcium in the blood can cause nausea, dry mouth, abdominal pain, irregular heartbeat, confusion, and even death.